Find hotel near The Temple Of Azure Cloud .. 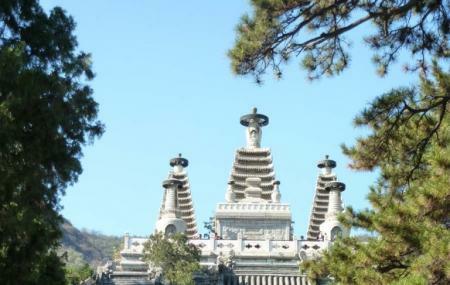 The Temple of Azure Clouds is a quaint Buddhist temple situated in the eastern part of the Western Peaks of Fragrant Hills Park. The Temple of Azure Clouds was built in the 14th century while the Yuan dynasty (1271–1368) ruled over the place. The temple has amazing and scintillating scenery that you can enjoy. There are a total of 512 statues in the temple area that you can see. How popular is The Temple Of Azure Clouds? People normally also visit Fayuan Temple while planning their trip to The Temple Of Azure Clouds.